What motivates us at work is ultimately a very personal and individual topic, though generalities do apply. That's why I get a chuckle out of research study after research study showing we nearly always guess incorrectly what would motivate others. "In research from Duke University subjects were asked to rate what motivates them individually, and what motivates peers and superiors at different levels in an organization. In most cases, the subjects rated their peers and superiors as more interested in external incentives than they said was true for themselves. Funny thing is, senior executives make the same mistake when trying to identify what motivates their direct reports. In separate research, Facer points to studies at George Mason University where executives emphasize external factors such as compensation, job security, and promotions while employees point to inherent factors such as interesting work, being appreciated for making meaningful contributions, and a feeling of being involved in decisions. The assumed focus on purely external motivators keeps executives and employees looking in the wrong places when trying to identify cures to the lingering lack of engagement in today's workplaces." The bottom line is as simple as this: we like to assume throwing money at people will motivate them, but we are wrong. Yes, people need to be paid fairly and compensated well for the work they do and the value they bring to the organization. But after a point, cash doesn't motivate or engage us in our work. Steve Tobak weighed in on this discussion on CBS Moneywatch with this list of top 10 ways to motivate and retain staff – and not a single one of them has anything to do with compensation structure. Recognition for work well done. A sense of accomplishment and delivery of work that is meaningful within the bigger picture. If you want to motivate and engage your staff, recognize them for meaningful work and progress. Let peers recognize each other for the same as well. 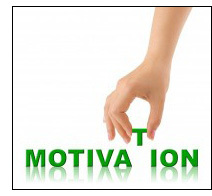 How does your organization primarily try to motivate employees?